We make it our mission to lead active trips that guests can customize to meet their vacation goals. The option of daily yoga is simply another natural way of adding activity and flexibility into our itineraries. Backroads, the World’s #1 Active Travel Company, today announced it is introducing yoga to a number of Backroads Walking & Hiking, Biking and Multi-Adventure Trips. Starting in 2019, guided yoga will be offered as a supplemental activity on 14 of the company’s itineraries —including Bali, India, Tuscany, Mallorca, Costa Rica, Maui and Santa Barbara. For almost 40 years, Backroads has been taking guests on active vacations all over the world; the addition of yoga complements the hiking and biking activities and fits seamlessly into the company’s travel philosophy. The new Backroads trips with yoga will include an hour of daily Hatha-style yoga. Unlike traditional yoga-focused retreats, Backroads’ yoga sessions are an addition to current itineraries, complementary to other active endeavors and cultural excursions, and are intended to be fun, designed for all levels and completely optional. The classes are focused on stretching for flexibility, strength building and balance, and are designed to target essential muscle groups used while biking or hiking. Warm-up and cool-down periods are included in each session to prepare joints and muscles, and to aid in injury prevention and recovery. Based on the trip itinerary and/or location, yoga will usually be offered in the morning as an enjoyable way to prepare for an active day, or occasionally in the afternoon if that fits better into the flow of the day. Backroads yoga “studios” will vary depending on trip itineraries, region and weather. Spas and lounge spaces at trip hotels will often be used for yoga classes to maximize time spent at exceptional, carefully selected properties. Beautiful outdoor areas with views over spectacular landscapes, beachfront settings and the decks of river cruise ships are just some examples of additional locations that the Backroads yoga team will use. The sessions will be led by Backroads Trip Leaders, all of whom have extensive yoga experience, and 95% are certified. High-quality yoga mats and yoga straps are provided. 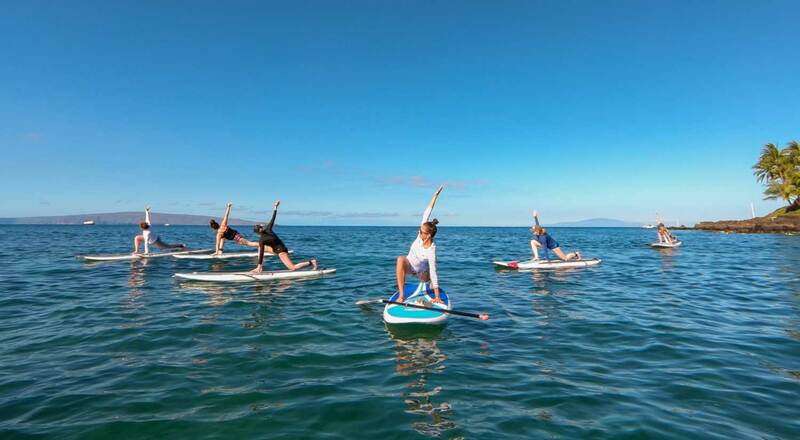 Offered at no additional cost, yoga-supplemented trips are perfect for both experienced yoga practitioners and guests who want to give yoga a try. They’re also great for couples and traveling companions with varying interests—one guest may be more yoga-focused while the other would rather sleep in or go for a run.